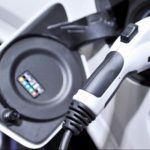 Being faced with any issue on a standard petrol car is bad enough, we have been used to these mechanics for years, but what happens when your car is electric and something goes wrong? 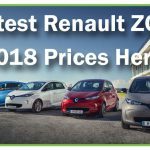 Arranging a time for repair is the same as any car, and I found Renault Customer Services to be very helpful, they acted straight away getting me a courtesy hire car with no delay. 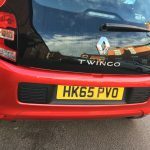 However I was disappointed that it wasn’t an electric car, I was given a Petrol Renault Twingo. I must say, it felt like I was driving something much older than 2 years, it felt archaic and awkward. 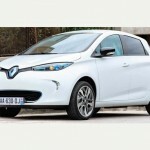 While there was nothing actually wrong with this little car, I soon realised that the Renault ZOE is much more than a regular car. 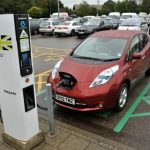 The benefits alone are undeniable, with this petrol car I was now paying parking at almost £5 per day, using a petrol station felt grubby and the cost of fuel (£32.55 for one tank) was twice as much as a month’s worth of ‘electric fuel’ in my ZOE. Luckily Renault Customer Services were understanding and agreed to pick up all of these expenses that I’d otherwise have not incurred. Aside from the running costs I must say, I really missed the serenity and ease of driving the ZOE, with its automatic driving (there are no gears), reversing camera and quick acceleration to name but a few features I really like in the ZOE. After what felt like an age, I was finally reunited with my ZOE. I won’t miss the Renault Twingo but if nothing else the time spent with this little petrol car made me realise that I had made the right decision going electric and I won’t be looking back.